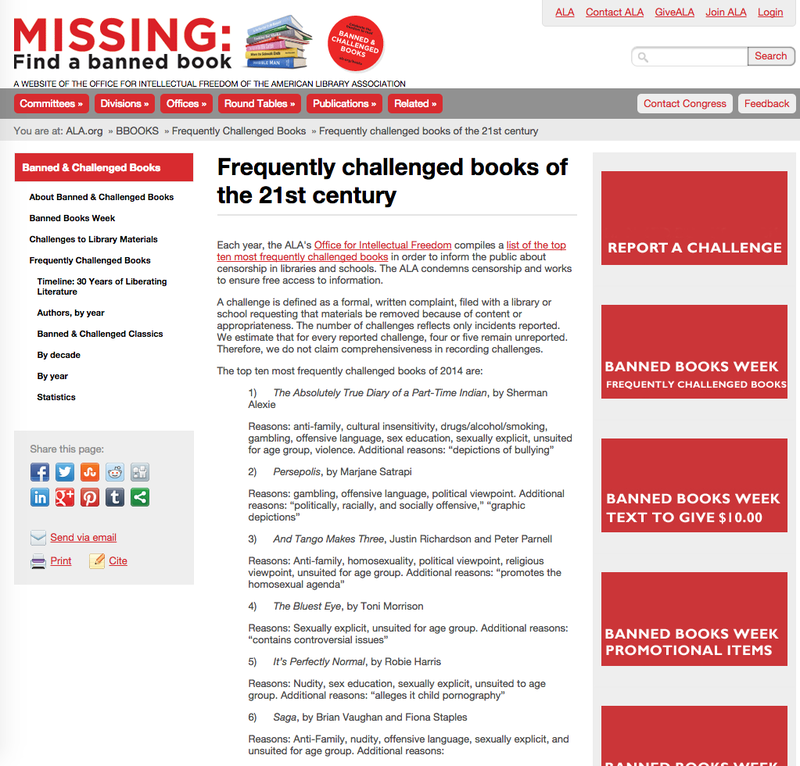 Every book on this top 10 "banned books" list was either written for or about kids and teens. Note the 'reasons' cited reflect not so much the books' content but the prejudices of (and lack of careful reading by) the challengers. The American Library Association's Office For Intellectual Freedom estimates "that for every reported challenge, four or five remain unreported." Now here's the great story: Parents in Idaho successfully got "The Absolutely True Diary of a Part-Time Indian" removed from their school's curriculum. In response, a group of students circulated a petition to bring it back. They got 350 teen signatures. Then they teamed up with their local bookstore and did a crowd-funding project to raise the money to buy a copy of Sherman Alexie's book for every teen on that list of 350. They raised the money! When some of the parents found out about the books being given away for free, they called the police. The police came to the bookstore during the give-away, but weren't really sure what do to, and the free book hand-out continued. 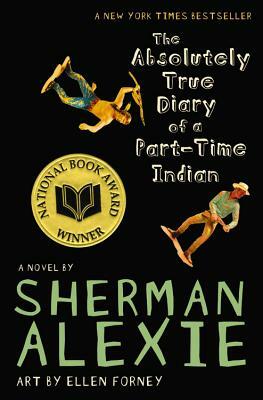 When Hachette (Alexie's publisher) found out about this, they sent an additional 350 copies of "The Absolutely True Diary of a Part-Time Indian" to the bookstore, so any teen can walk in and get the book for free. Cheers for the freedom to read! "If your validation comes from an external source, you are f***-ed. You are in trouble. Because that is so fickle. And you are completely dependent on things that are so outside your control, and that is such a terrifying feeling. You are dependent on how your publisher is going to publish your book, and what the market is like at that point and what the reviews say... it's just all of this external validation. Which, when it goes in your direction, feels really good – let's not lie about that. But it can only feel so good, there's that little voice telling you, it will not always be so. So, the important thing then is to kind of come back to the things that give you a sense of internal validation, and that can be whatever, it can be family, it can be friends. But if we're going to talk about publishing, it's the work. It's the satisfaction you get from producing the work. ...So whenever all that other crazy stuff is kind of driving me crazy, I try and kind of bring it back to the one thing I can control – and that is the work. And that's the thing that brings me so much satisfaction." 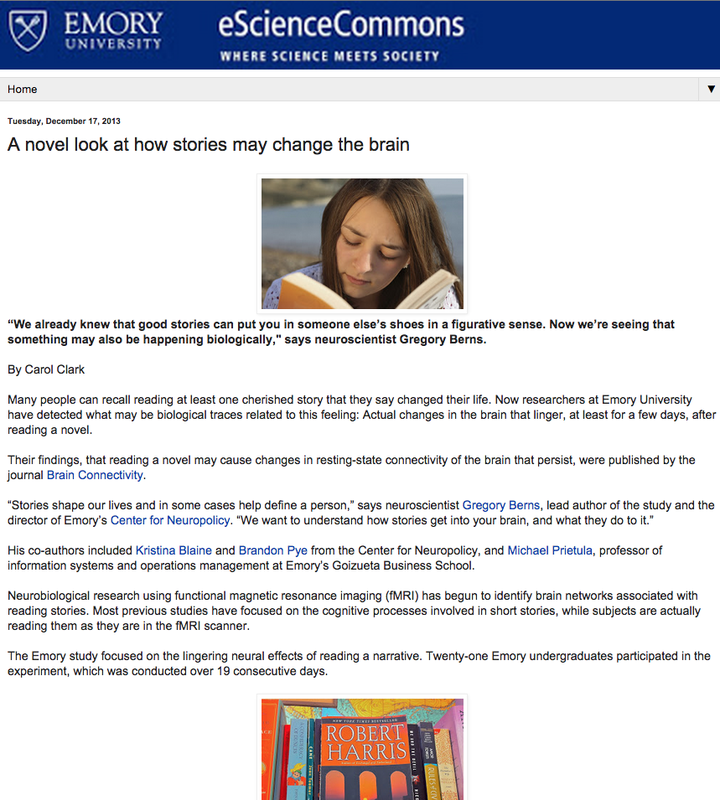 This article in Emory University's eScience Commons by Carol Clark, summarizing the latest research on reading and our brains, was fascinating. Their research was published by the journal "Brain Connectivity." Illustrate, Write, and Keep Changing Brains On! Crystal Kite Round Two Voting Is Open Now! Have your voice heard in who your division selects as your Crystal Kite Winning Book! Voting will close on April 30th, 2015. Then at the top right of the screen, click on "my home"
Good luck to all the round two authors and illustrators. 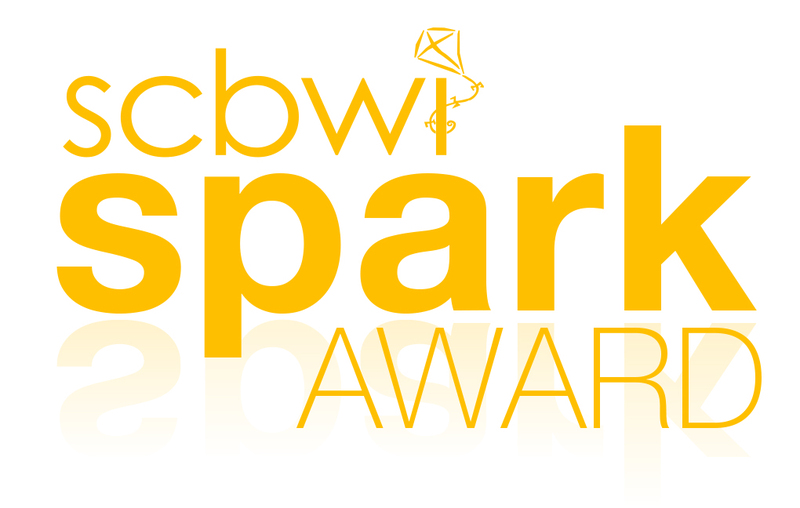 To learn more about the SCBWI Crystal Kite Member Choice Awards, go here. Lee: Congratulations, Heidi! Tell us about finding out you'd won the On-The-Verge Emerging Voices Award. Heidi: Thank you so much, Lee. I still can’t believe it. When SCBWI called to tell me, I actually didn’t answer the phone since I didn’t recognize the number! It was a while later that I listened to the voicemail and discovered it was from Stephen Mooser. I listened to it three times because he had said, “Congratulations! You’ve won..” without saying my name. I convinced myself that he had called the wrong number. When I finally called Stephen back and spoke to him, well, let’s just say there was some vigorous touchdown-celebration-dancing behind my best professional phone voice. I think it was a full hour before I stopped trembling. Lee: Awww! You won for your young adult novel "The Certainty of Tides." Tell us about that project. Heidi: “The Certainty of Tides” is a young adult novel about Magdalyn Ro, a seventeen-year-old who is living with end-stage renal disease. Placed on the kidney transplant list, Maddie learns that there are fewer Koreans and people of color who donate, affecting her prospects for a good match. Her future is in question, and Maddie wants to be living, not just alive. By her side Maddie has her closest friend since childhood, Sabine. As Maddie struggles to define her life outside of her illness, her friendships with Sabine, Abel, and Grace are tested and evolve. I would say that this is a story about living, about enduring friendship, profound love, and unpredictable life. While working on this project, one of the biggest challenges has been trying to tell a story where culture and class are not the main conflict, but both greatly affect the main character’s emotional and physical journey. It was my intent to weave the cultural elements into the story in a way that makes Maddie’s world accessible and relatable to mainstream readers. Heidi: My aunt was a children’s librarian who fostered my love for children’s literature. Libraries and bookstores were my babysitters. I had always wanted to write for children, but my hard-working immigrant parents had sacrificed everything to give me a good education that would lead to a stable career. Deep gratitude and obligation led me to the corporate world. Writing for children seemed like a dream I would have to postpone to a later, more practical time. It was actually SCBWI that started me on this journey. I found out about the organization and joined in 2009. Meeting so many people (at my first LA conference) who shared this same passion and hearing authors and illustrators I had grown up admiring — it all stirred something in me. Soon after that I experienced an unexpected illness, and I came to realize that there was no better time to chase my dreams. I joined a critique group and took classes at local universities. Eventually I was able to devote myself to the craft and completed an MFA in Writing for Children and Young Adults at Vermont College of Fine Arts. I poured myself into learning about writing picture books, middle-grade and young adult novels, but “The Certainty of Tides” is the first young adult manuscript I completed. It means so much to me to come full circle and receive recognition for it from SCBWI. 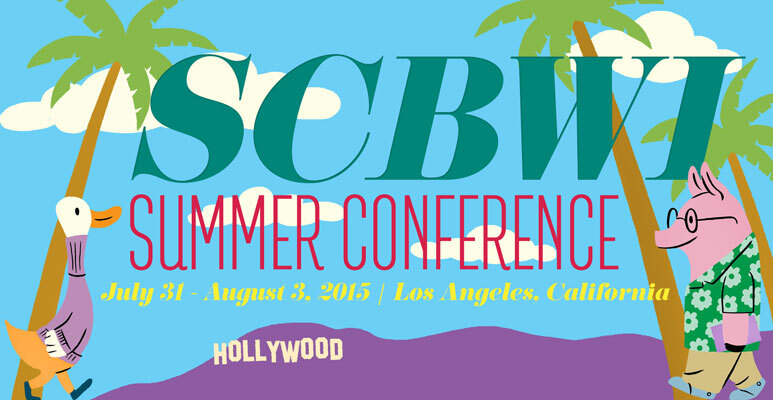 Lee: Part of your prize for winning the award is an all-expense paid trip to the SCBWI Summer Conference in Los Angeles, where you'll have "several private meetings with editors and other industry professionals." What are your hopes/plans for the conference? Heidi: Isn’t it wonderful? It’s all thanks to SCBWI and the generosity of Martin and Sue Schmitt. I’m really excited. I would love to meet more people who are passionate about the same things as I am, in particular those who are excited about books that feature under-represented characters and who see a long-term place for these stories on the mainstream bookshelf. With the grassroots push for more diversity in children’s literature, all of this is happening during a time of momentum. As for specific plans, I’m really looking forward to meeting Sue Schmitt, Adria Quinones, and previous Emerging Voices recipients at the conference. From what I have seen so far, children’s book writers and illustrators are creative, hard-working, and earnest people. I just hope to get to know more of them, more personally. If I am fortunate enough to meet anyone who is interested in my manuscript or my writing, that would just be an added bonus. Lee: What’s the best piece of advice you've gotten about writing for young people that you'd like to share? Heidi: Hold onto the love of writing, the things about it that make you feel that happy-dance kind of jubilee. Gather those moments where you feel joy — independent of any external validation — and hoard them because this writing journey can have some long winters. Write every day so that you will keep giving yourself the chance to re-discover what you love about writing and then, keep going, keep going. Thank you, Heidi! We wish you much success on the adventure ahead! You can find out more about the award here. And you can learn more about Heidi here. 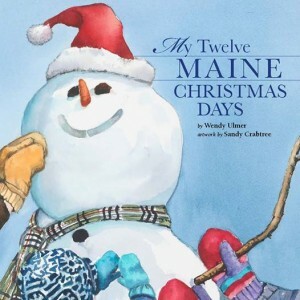 My Twelve Maine Christmas Days by Wendy Ulmer and illustrated by Sandy Crabtree. Come discover the gifts of the twelve Maine Christmas days beautifully portrayed in watercolors. Maine’s breathtaking natural beauty highlights the story, based on the traditional Christmas song, The Twelve Days of Christmas. 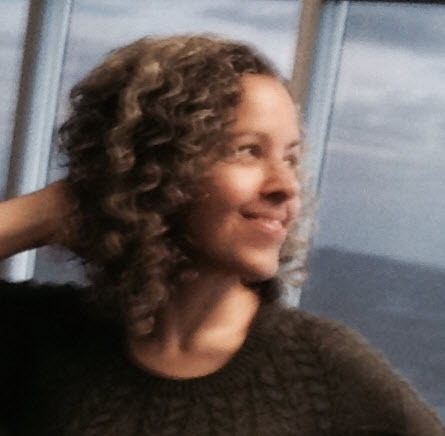 Wendy Ulmer has been an SCBWI member for over twenty years and is the founder of wooly moon books and wooly moon studio. Learn more about Wendy Ulmer and order the book at www.wendyulmer.com. 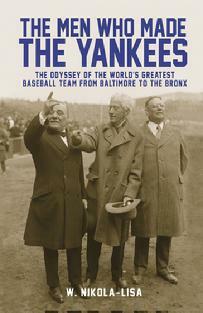 The Men Who Made the Yankees is a fascinating look at the New York Yankees baseball team follows the rise of the American League starting in the mid-1890’s to the team’s first World Series championship in 1923. W. Nikola-Lisa is a freelance writer with over twenty books to his name. His love of baseball and work on a historical fiction novel, Dear Frank: Babe Ruth, the Red Sox, and the Great War, inspired him to write this enthralling nonfiction. Learn more about this book and others at www.nikolabooks.com. 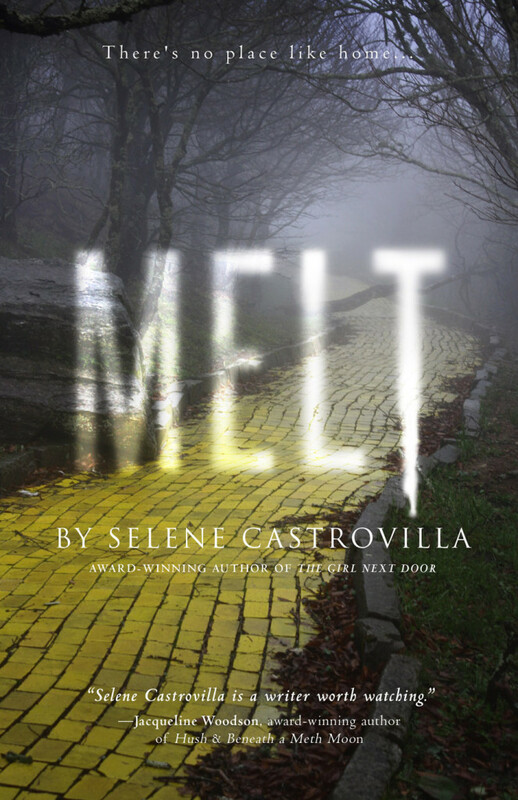 Melt centers around the spellbinding romance of Joey and Dorothy enduring peer pressure, devastating family secrets, and substance abuse. Can they navigate the yellow brick road back to the safety of home? Selene Castrovilla is the award-winning author of The Girl Next Door and Saved by the Music, both young adult novels. She is also the author of three picture books: Revolutionary Friends, Upon Secrecy, and By the Sword. She holds an MFA in Creative Writing from The New School. Visit www.selenecastrovilla.com. Congratulations to the winners, and look for interviews with them coming up, right here at The Official SCBWI Blog! Lee: Congratulations, Adria! Tell us about finding out you'd won the On-The-Verge Emerging Voices Award. 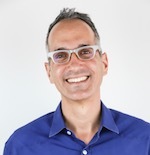 Adria: Thank you, Lee! I had actually completely forgotten when the announcement was due--I was so wrapped up in finishing "The Disappeared" that I mentally "left the building" when I was done (which was actually mid-December, there were a couple of things I cleaned up after submitting). Steven reached me at work, but I was in the middle of twelve things and his name didn't register. I heard "SCBWI," so I assumed it must be about my registration to the Midwinter conference, It took a moment for it to penetrate that this was about Emerging Voices; when it did, I was so moved that I started to cry. I work in an open office, so this caused a bit of a scene: people were looking at me and each other, thinking, "Death in the family;" when I started sobbing harder, the looks said, "Entire family wiped out." I finally went to a conference room, with alarmed people trailing behind and wrote on the wipe board, "I won an award for my book!!" so that they could all go back to what they were doing. At the end of the conversation I had to ask, "Who am I speaking to?" Poor Steven! It's not easy being head of SCBWI. Lee: That's a great story! You won for your middle grade novel "The Disappeared." Tell us about that project. Adria: This book started four years ago. I kept thinking over conversations my sisters and I had about how we could always tell when a teacher got to us when calling the role because there would be this long pause while they tried to figure out how to pronounce either our first or last name. I wanted to put that kind of experience into a story. But it was important to me that it be a Latino kid and that it take place in Washington Heights, a chiefly Latino neighborhood where I've lived for almost my entire adult life. I wrote the first chapter in January 2011 and it's remained essentially unchanged, although last spring I had some difficult conversations with myself about the fact that the first chapter was no longer representative of the book's direction, although I was equally sure that that was how it should start. It took me a few months to figure out how to integrate the themes of identity and memory while telling a story about a boy who's lost his father. Adria: I am an accidental author--literally. 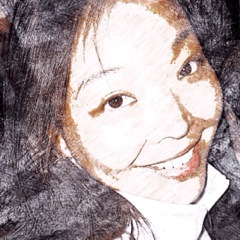 I became a technical writer after an accident meant I had to change jobs. It's been great to be able to make my living writing; it's taught me a lot about the craft of writing along the way, including how to be productive every day. That's not to say I don't have some better days, but at work I'm expected to show up and write well no matter how I feel about it, and that's been a very useful skill to learn. Writing children's novels was also accidental. I mean, I gave up creative writing in high school! But in Feb. 2010, I was reading "The New Yorker" in bed very early one Saturday morning when, inexplicably, an entire story took shape in my mind. I decided that it was a gift and that had to be honored, so I got up and started writing. I still remember my husband's puzzled, "Where are you going?" Now he's used to it. I wrote a couple of thousand words that weekend and finished the book in about three months, I was so excited. The Disappeared was a very different experience. Completing the first draft took most of a year, and then came what turned out to be three years of re-writing. I never thought it would take as long as it did--I spent two years thinking that I was almost finished. I'm glad I was wrong; it's a much better book now. My first three books were for middle graders, but my next one will be YA. I'm making notes and plan to start writing seriously in a couple of months. Adria: The same thing everyone hopes for--representation by a fantastic, well-connected agent who loves my work, takes me out for tea and pastry, and gets it published to rave reviews. Seriously, some good guidance--how to create a career, how to improve what I'm doing--all of that would be appreciated. 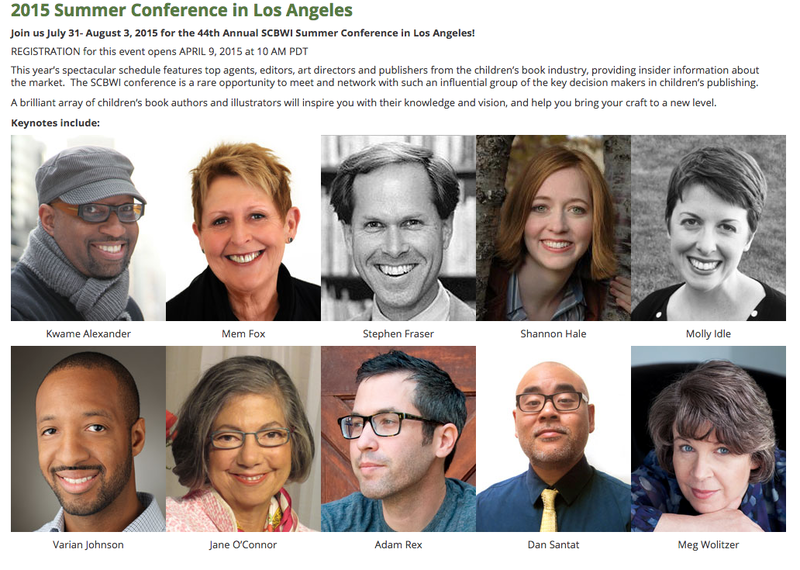 I've heard great things about the LA conference, so I'm very excited! Lee: What's the best piece of advice you've gotten about writing for young people that you'd like to share? Adria: Don't give up? Actually, all the things you hear all the time have been really important: Show, don't tell, get rid of everything that isn't essential--words, scenes, characters. It's been interesting how many times I had to hear these before I could put them to use. Maybe that's the best piece of advice: keep listening to advice. All the tropes of writing fiction are tropes for a reason. Thanks Adria! We wish you much success on the adventure ahead! And you can learn more about Adria here. and 1,000 other writers and illustrators who love children's and teen books as much as you do! 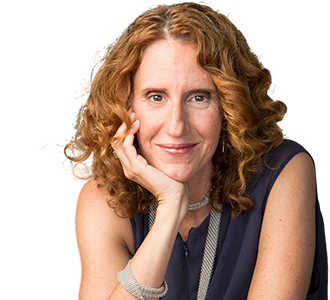 Moderated by Wendy Loggia, Delacorte/Penguin Random House. It's going to be an amazing 3 days, packed with more editors and agents, an optional fourth day intensive (one for illustrators and a menu of choices for writers), the portfolio showcase, the Golden Kite Luncheon and the Saturday night Gala! Join Booklist and New Leaf Literary & Media agents for an hour-long, free webinar that will discuss the role of a literary agent, as well as describing how librarians, teachers, and booksellers can work directly with agents to forge relationships between authors and readers. Panelists will share examples of working with their YA authors, including Veronica Roth, Victoria Aveyard, Kody Keplinger, and Leigh Bardugo, and explain how they've connected with schools, libraries, and bookstores to coordinate events, panels, special mailings, social media interaction, and more. Moderated by Ilene Cooper, Booklist Books for Youth Senior Editor. This free webinar will take place Thursday April 9, 2015 at 1pm Central Daylight time. You can sign up and find out more here. 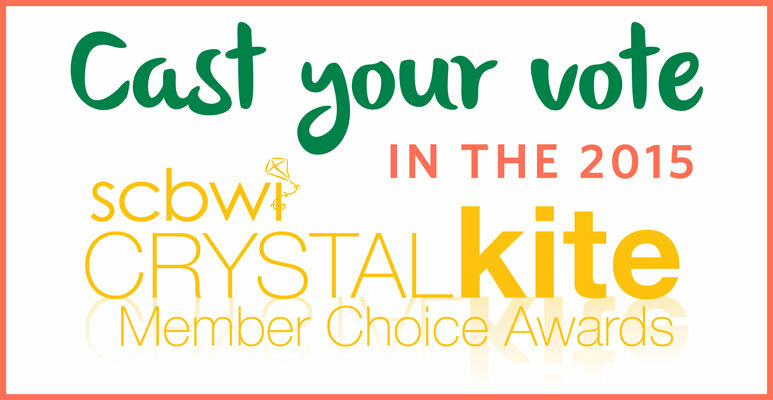 Crystal Kite Members Choice Awards Round One Voting Is Now Open! To cast your vote for the best book published in 2014 by a SCBWI member in your division*, make sure to log in at scbwi.org. Once you're logged in, you can click here to get to the voting page. To get to the same place, you can also click on "My Home" and look in the left hand column at the bottom for the link, "View Eligible Crystal Kite Books In Your Division." Once there, read through the list of books nominated for your division and vote for your favorite! *As a reminder, all the SCBWI regions are divvied up into 15 global regions.